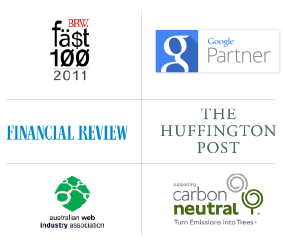 Since 2006, Magicdust has created more than 6,000 websites for small businesses in Brisbane and throughout Australia. We are proud to offer high-quality, affordable web design and web development focused on small business need. Our website designers understand how challenging it is for small business to get the most out of the internet for promoting their businesses, and we are here to help. This understanding has made us one of the leading web design and development companies in Brisbane. You’re busy, so we’ll keep the web design process simple. Our team of account managers, designers, developers, marketers and strategists located in Brisbane are experienced professionals who can make your vision a reality. First, we will create an online strategy based on your goals. Whatever your vision for the website is, we will set you on the right path. We’ll look at your brand, then move on to the website development. Finally, we provide ongoing marketing support. We use the WordPress content management system (CMS) for our web design projects. It is the ideal platform for displaying content, blogs and newsletters, menus, prices, subscription memberships, and more. If you need an ecommerce site, we can build you a robust, full-function online storefront designed specifically for managing and selling online. Using WordPress give yous a simple way to manage the content that will go on your site. WordPress is search engine friendly, intuitive and easy to use—allowing you to update it as needed. Make your Brisbane-based business stand out with a new website from Australia’s leading web design company. 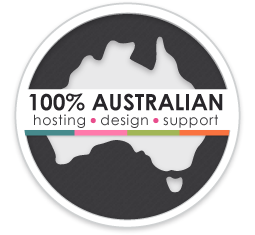 Why Choose Magicdust for your Brisbane Web Design Project? Great reputation. We’ve helped over 1000 Brisbane small businesses get online. Much like introducing yourself to a customer or investor for the first time, your website is essential to growing your business. When your website is outstanding, your business will grow with both new customers and old ones who become brand evangelists. An effective and successful website will save you money and time on ineffective marketing tactics. There are nine things you need to do to make your website as successful as possible. It all starts with the platform you build your website out. Not the most exciting place to start, but which CMS you choose will have a huge impact on how easily you will be able to update content and interact with site visitors. Especially with ecommerce sites, your structure and critical features will save you time when posting content, optimizing for search engines, or fixing errors. If there is a large community of users and developers that back the CMS platform, such as WordPress, you know the system will perform well with these specifications. Additionally, you want the platform to be actively supported by developers to ensure it is frequently updated. You want your visitor to stay on the site and find everything they need. So why not build it around their objectives and point of view? When your website is custom built for what users want to see, you will automatically encourage interaction and improve your conversions. To figure out how to design your website in a way visitors want to see, ask yourself, “Why are they coming to my website in the first place?” You need to decide which questions they want to find answers to on your website. By looking at your site from their perspective, you can create an experience that will deliver the solutions they are looking for and exceed their expectations. Provide what your site visitors need before they even know they need it and your brand will solidify itself. Make sure the navigation is easy to follow and every page is transparent in answering questions about your business. Make contact information, product or service specifications, and prices clear. You want your website design to be appealing and visually interesting, so visitors are inclined to stay on the site longer. The more beautiful and easy-to-use your site is, the more likely people will return and share the link with others. The design of the website has an impact on the emotional response to your business. When your design is highly visual and interesting, it established the quality of your business instantly. You want this information to be condensed, engaging, and front and center on your homepage. Spend time honing your core marketing message and the visual design to match that. You need to ensure your logo design, tagline, and first two sentences of your website copy are clear. This will give your brand credibility and impact your audience by subtly outlining your specialty. Basically – be concise and compelling. Not make an About Us page about the business? That doesn’t make sense! But it does – you want to make your About Us page empathetic and about the customer. The whole reason your business exists is for the customer, so your page should reflect that. The About Us page still needs to tell the story of your business and the personalities behind it because customers want to know who they are buying from. But you also need to tell customers how your team is going to make their lives better. Carry this theme of how the visitors will be benefitted throughout your entire website. Just being on the internet isn’t enough to create conversions. You also need to plan your marketing strategy to create quality content, broadcast it, attract traffic, and convert visitors. There are so many marketing options available to you and you need to experiment with all the different channels until you find the ones they are right for your brand. But there is a marketing strategy every business must implement – create quality content. These measures allow you to evaluate your marketing spend and the success of any improvements or modifications in your website design or online marketing plan. Everyone loves their mobile devices and studies currently say 25% of people on the internet at any given moment are using a smartphone or tablet. Nowadays tablet users convert at higher rates than desktop users as well. Not only does your website need to be easy to view on a mobile device, but actually optimized for the various mobile platforms. To do this, you need a designer to implement a responsive design no matter which device a visitor is using. The content your website delivers needs to be done effectively on all platforms. Custom mobile design is necessary for more complex websites, but even the most basic websites need to have a mobile version, not the standard desktop. Desktop versions of websites on mobile make it difficult to navigate through website menus, click links, and find the content users want to see. Creating your own website that meets all these requirements is difficult for even basic website designers. If you want to see a successful and high quality website, you might need to consider hiring a professional web design company. Hiring professionals will save you a lot of time and stress in the short-term and money in the long-term. Before you hire a website designer, you need to make sure they understand these essential elements and how they have incorporated them with past websites. Web designers and companies should be well established with a comprehensive portfolio of working with businesses similar to your own. When you choose a web designer, you have a better chance of your website being successful.